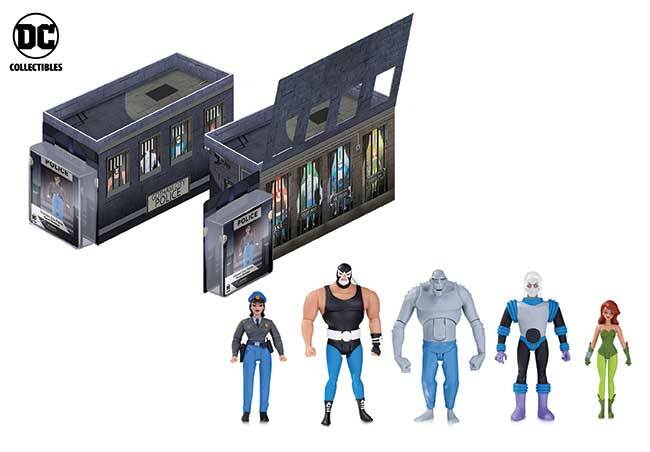 A lone cop - Renee Montoya - is surrounded by some of Gotham City's greatest evildoers in this amazing new action figure 5-pack inspired by Batman: The Animated Series that comes in deluxe packaging with battery-powered lights! 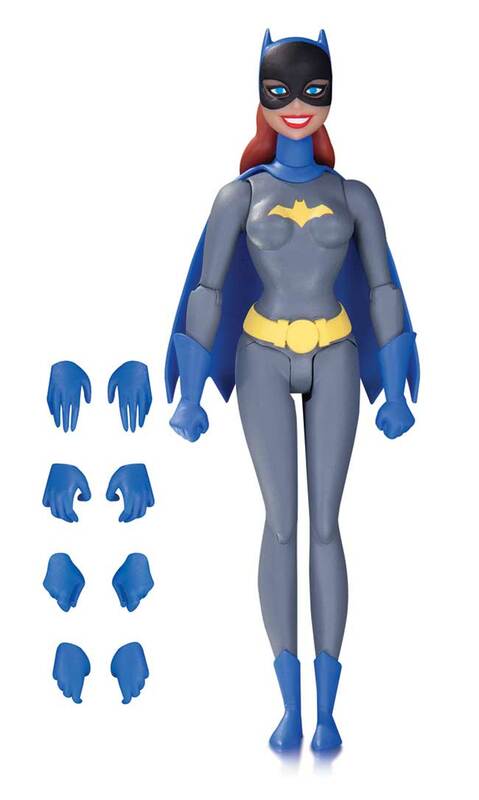 Each figure in this set comes with its own character-specific accessories and extra hands. 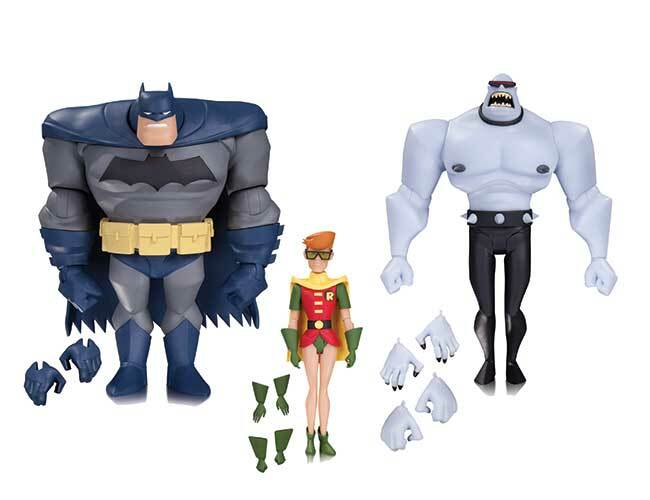 This new action figure three-pack is inspired by The New Batman Adventures episode "Legends of the Dark Knight," and includes Batman, Carrie Kelley as Robin, and the Mutant Leader. 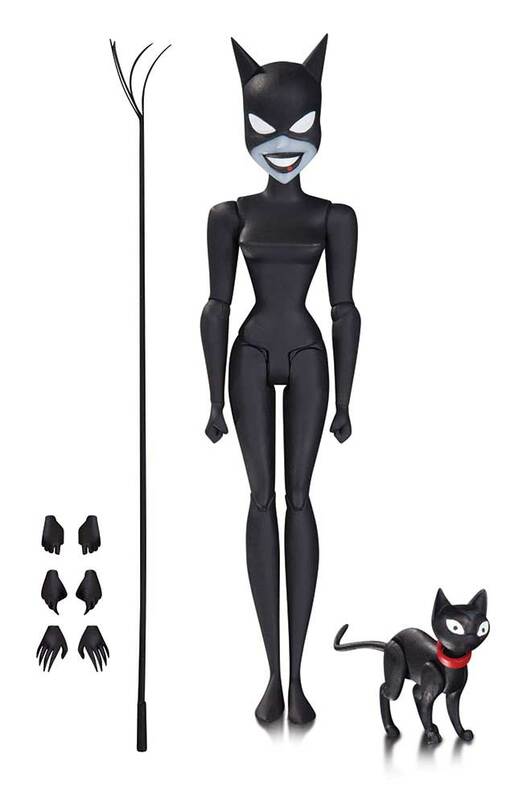 Each figure comes with extra hands! Is Batman angry? Determined? Confused? 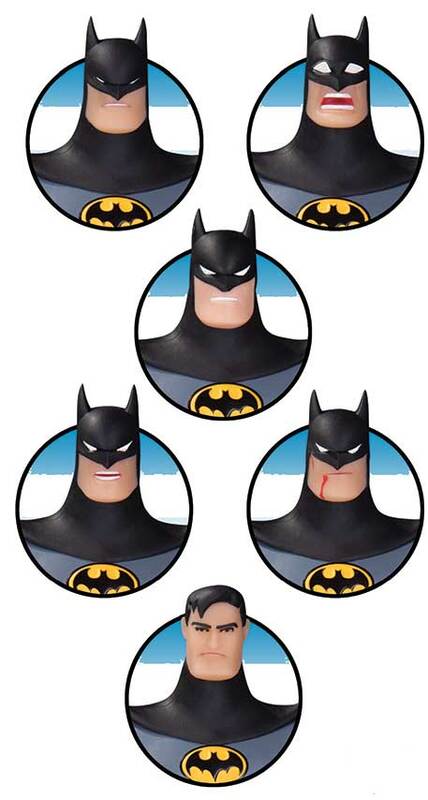 You decide, with the new BATMAN EXPRESSIONS PACK, which lets you put a whole new face on the Dark Knight! 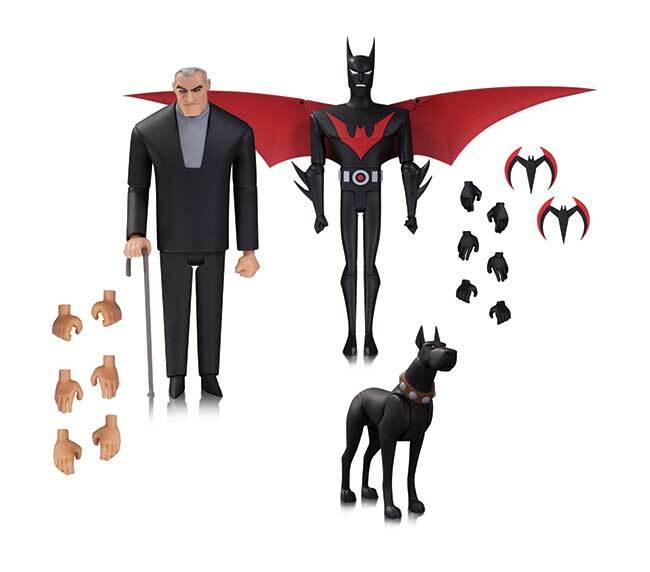 This set includes interchangeable heads and capes that are fully compatible with any Batman action figure from the BATMAN: THE ANIMATED SERIES line! 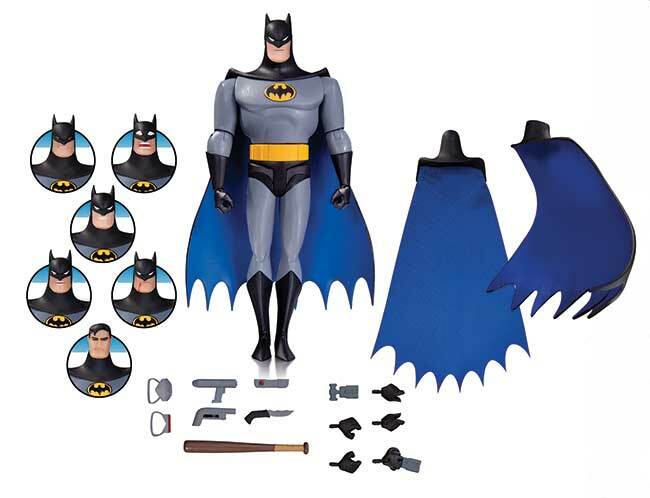 The set also includes a new Batman action figure. 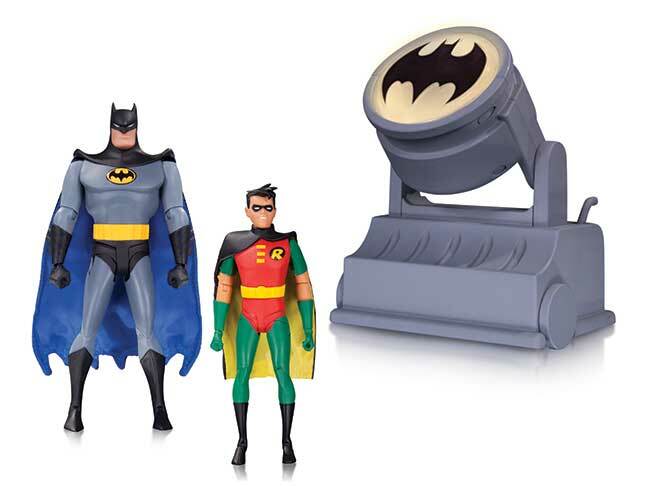 The Caped Crusader and the Boy Wonder are ready for adventure in this new action figure 2-pack, which comes with a battery-powered Bat-Signal! 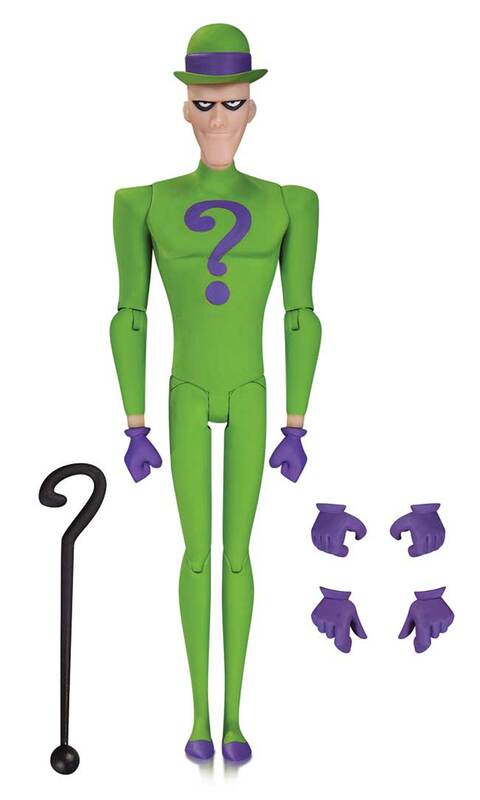 From the classic Batman: The Animated Series episode "Christmas with The Joker," the Clown Prince of Crime is decked out for his holiday TV appearance designed to lure the Dark Knight to his doom! 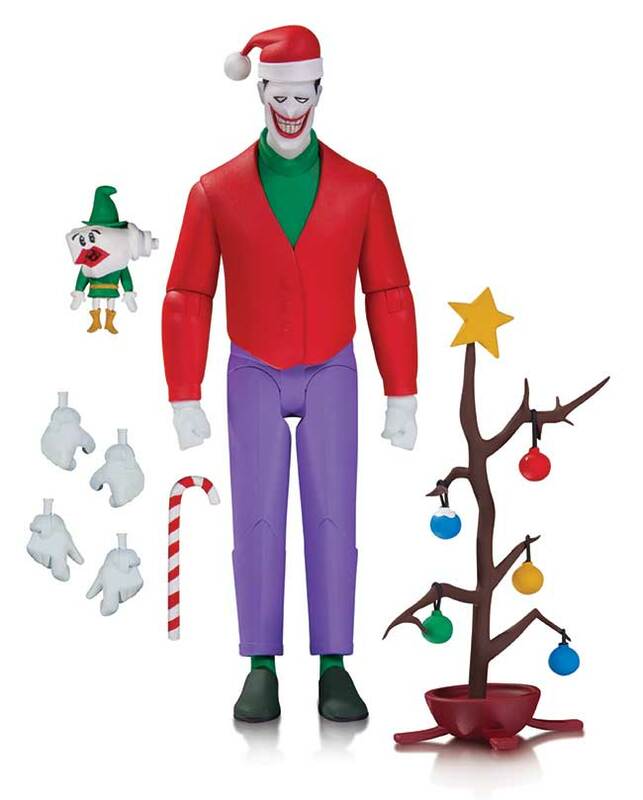 Comes with candy cane, Christmas tree, elf and extra hands. 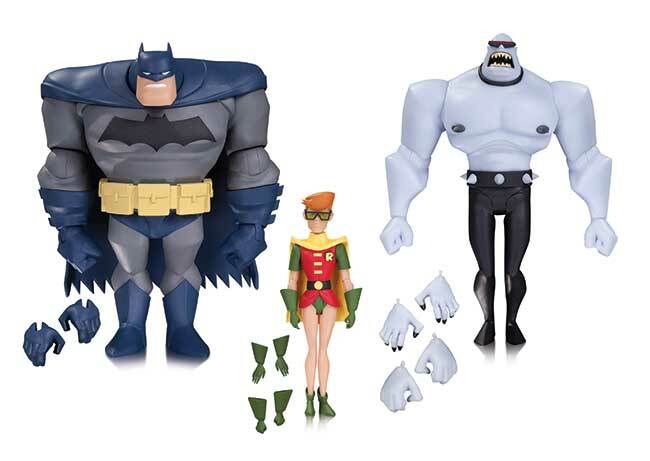 Soaring out of the Emmy Award-winning Batman: The Animated Series, it's the Batwing! 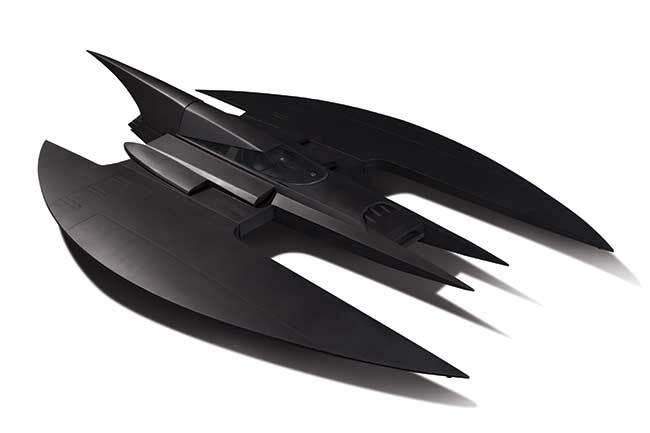 This sleekly designed replica of the Dark Knight's amazing, bat-shaped vehicle comes with retractable landing gear, battery-powered interior lights and slide-open cockpit canopy-and now, it can be yours!